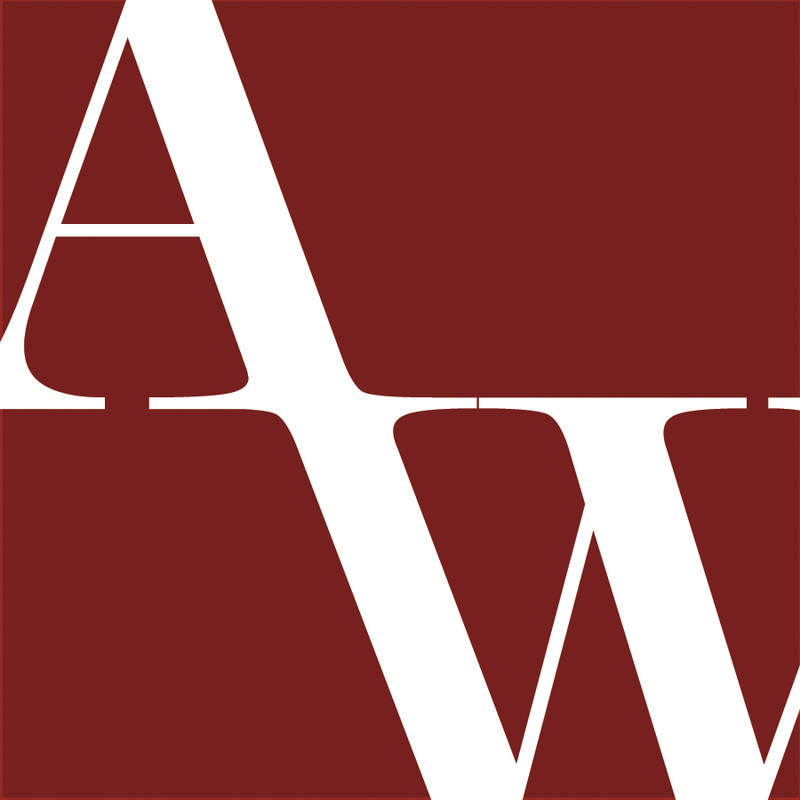 In my old neighborhood the majority of the homes have an exterior set of stairs that lead to the front door built with a pressure treated structure and a composite finishing material. In this case the steps were roughly 11 years old. 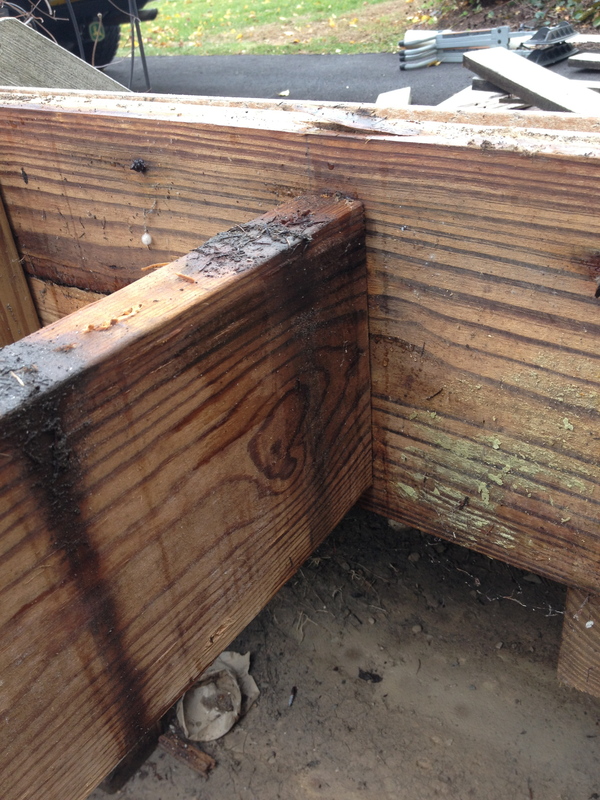 The pressure treated lumber was rotting and the attachments were disintegrating due to the chemical used to make pressure treated lumber. The steps had to be completely disassembled and rebuild from scratch. 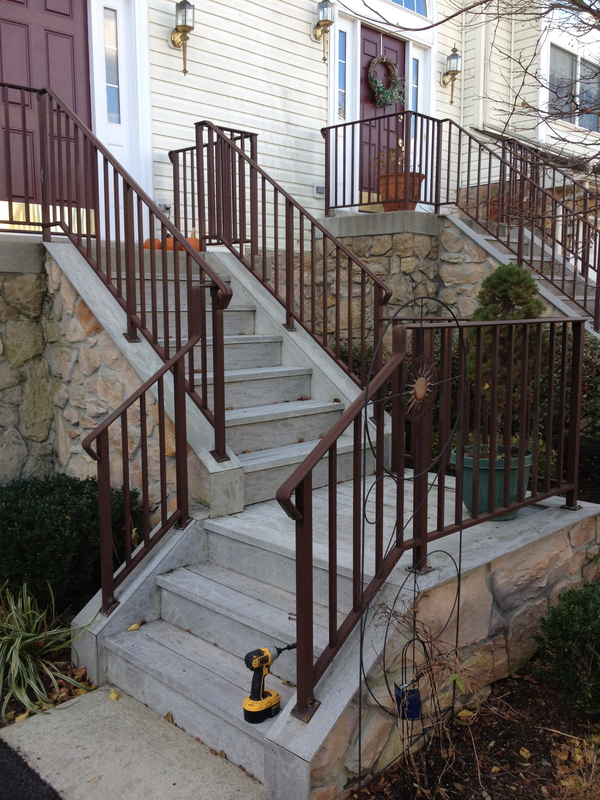 All new stringers had to be cut and installed, new joists and hangers had to be installed, new composite decking and facia installed and the railing removed and reinstalled. Below is a visual run down of what was done. 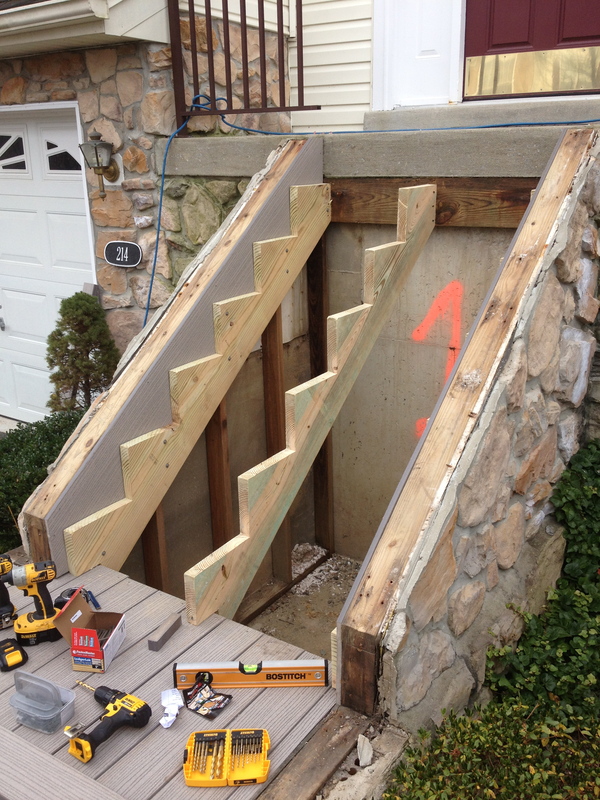 The original steps…rotten and dangerous. Once the rail, treads, and risers were removed I found rotten, water logged stair stringers. There were no nails holding up the joists in the landing area. Nothing. 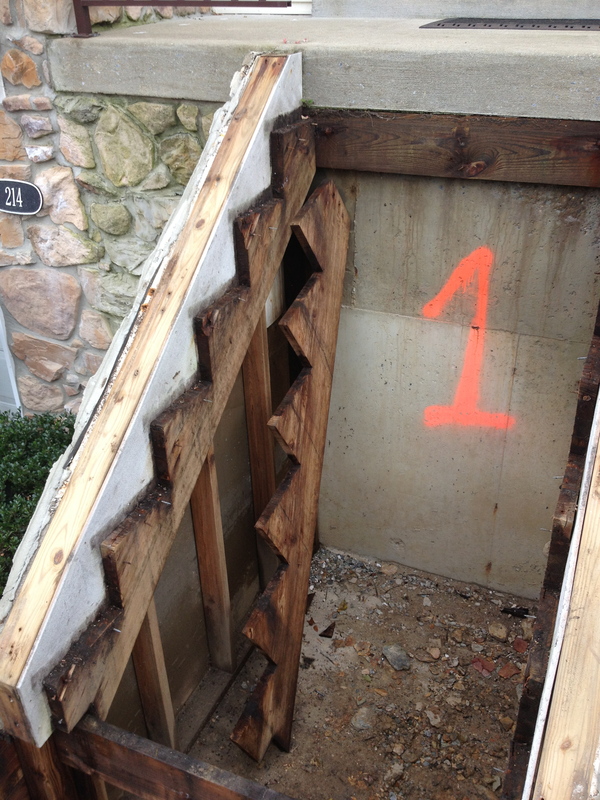 The rotten joists were removed from the landing area, joist hangers were installed and new joists were hung. 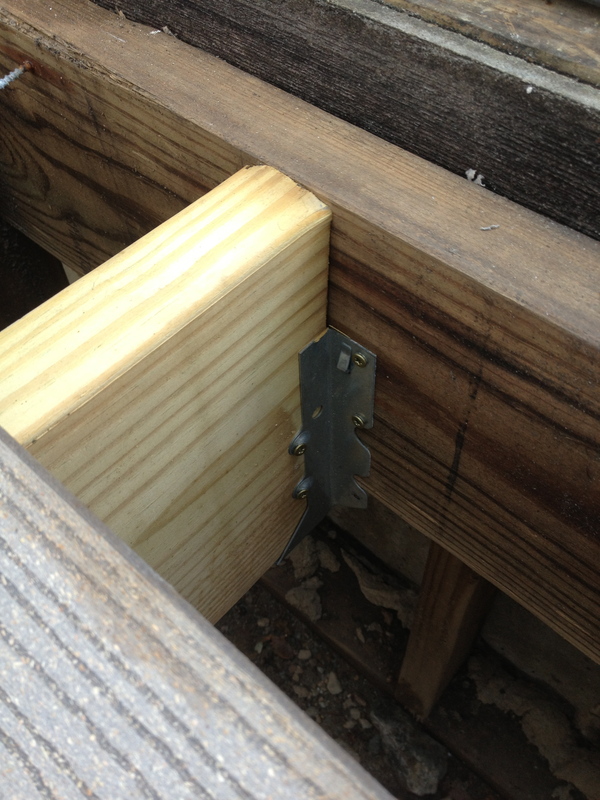 New stringers were cut and installed after the decking was laid on the landing area. 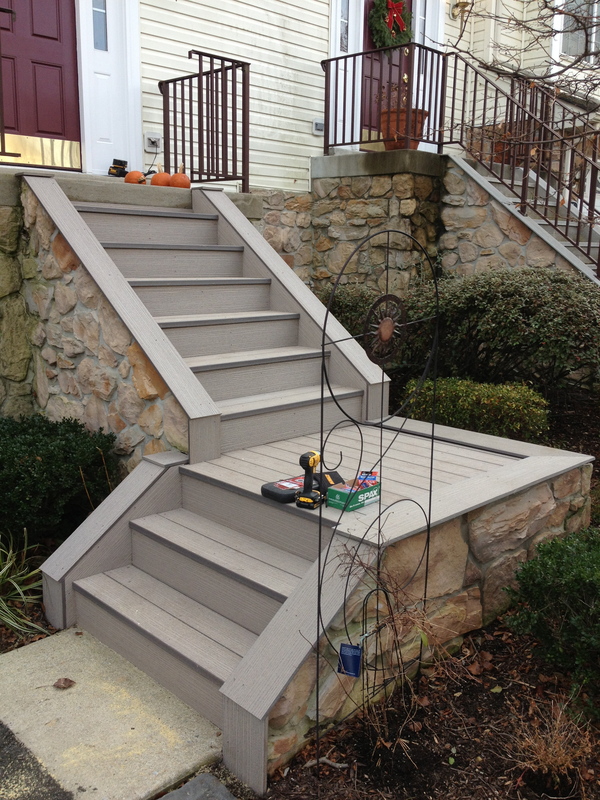 All new decking and facia was installed after the new structure was finished. 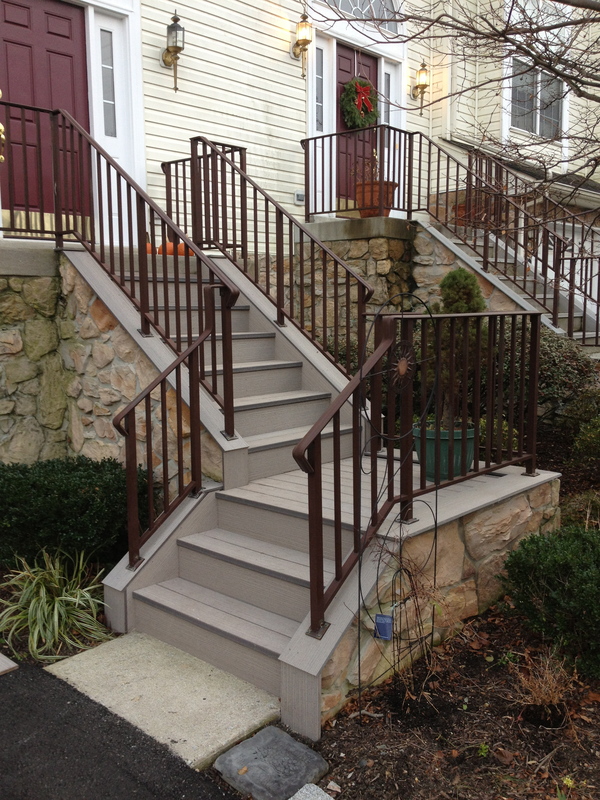 Railing reinstalled and the new steps are finished.